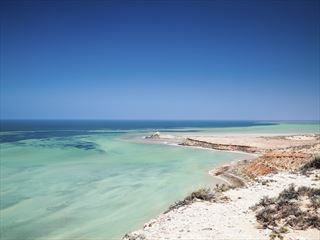 Nature enthusiasts will love this fantastic five day self-drive tour along Western Australia’s beautiful coast. 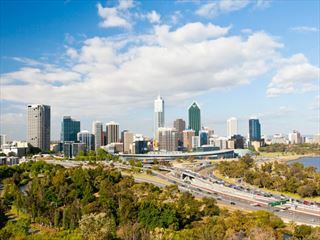 Starting and ending in Perth, you’ll have the opportunity to get up close to magnificent wild bottlenose dolphins in Monkey Mia, as well as marvelling at wonderful natural attractions, including the striking sculptures in Pinnacles Desert, and exploring small coastal villages and towns (ATS). 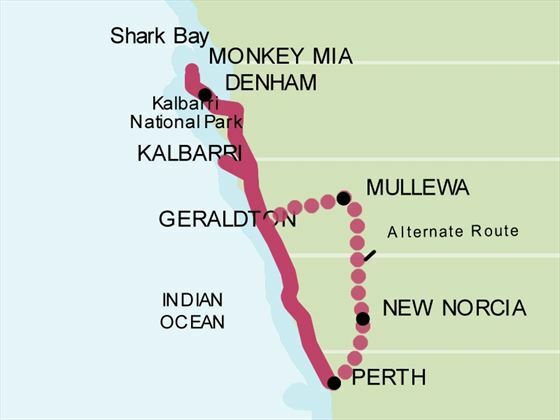 After you’ve collected your car from Perth you will head north towards Geraldton. 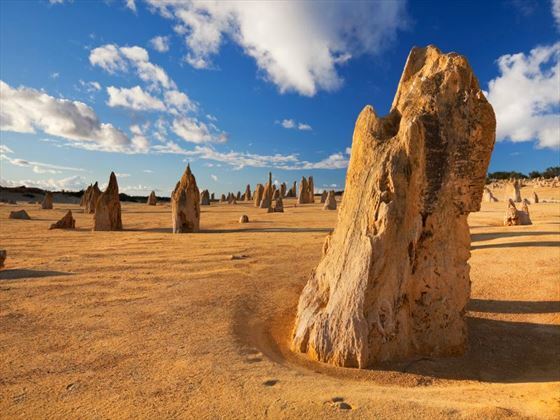 On the way, stop of at the beautiful Pinnacles Desert in Nambung National Park to marvel at its ancient desert sculptures, before arriving in Geraldton’s stunning landscapes full of wild spring flowers and sweeping countryside. 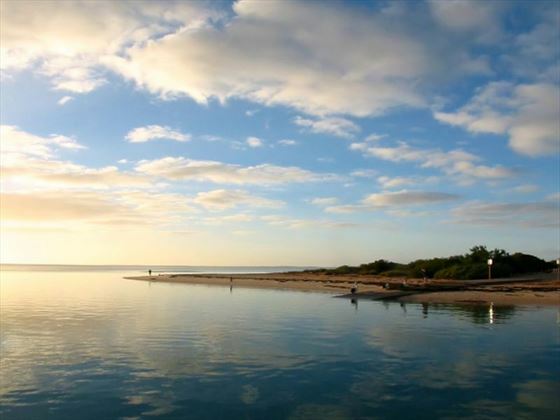 The day is free for you to explore Monkey Mia, a wonderful tourist destination popular with nature lovers. 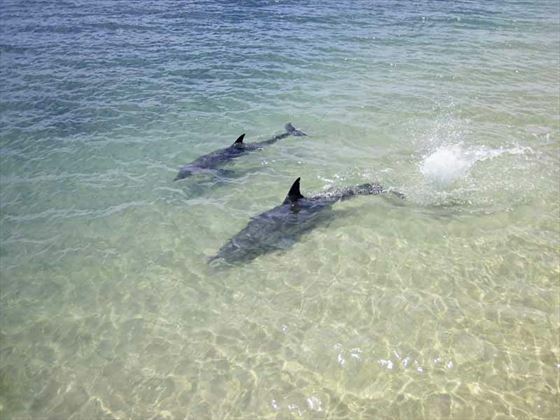 Either visit the majestic dolphins that swim in the shallows, or simply relax on the stunning beaches. 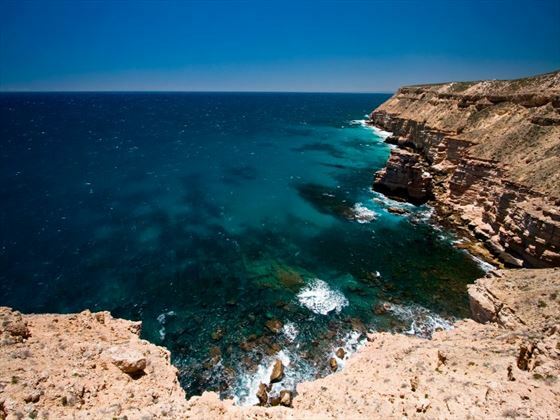 Journey south to Kalbarri - this picturesque coastal village is home to the spectacular Kalbarri National Park and Murchison River, surrounded by remarkable gorges and bright wildflowers. 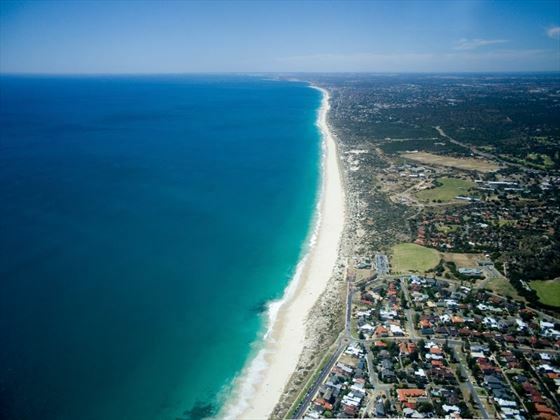 There is a choice of two routes today. 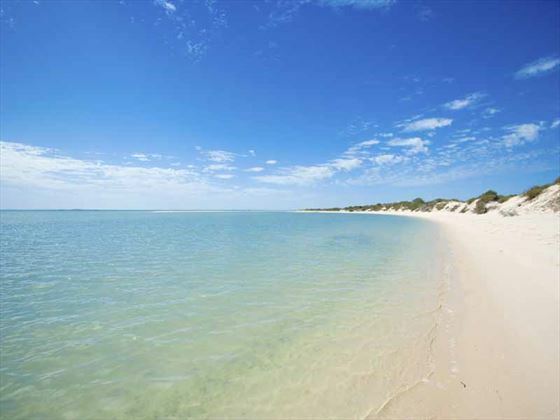 The first route is the shortest, journeying to Geraldton and then directly to Perth – but be sure to stop of at the Swan Valley for delicious wine tasting and afternoon tea. 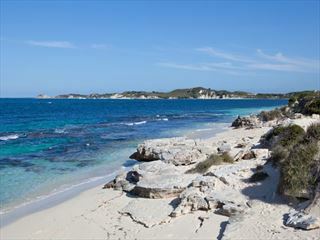 Alternatively, you could follow the highway inland and explore the charming towns of Mingenew and Moora. 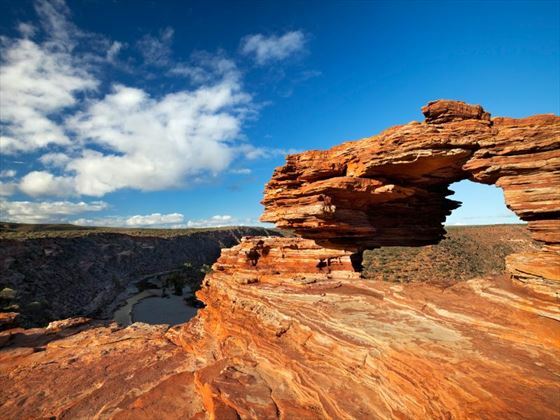 This is a lovely, scenic route, travelling through small towns and typical Australian bush landscapes and stopping at New Norcia to visit the fascinating Benedictine Mission. Your car is booked until the following day. 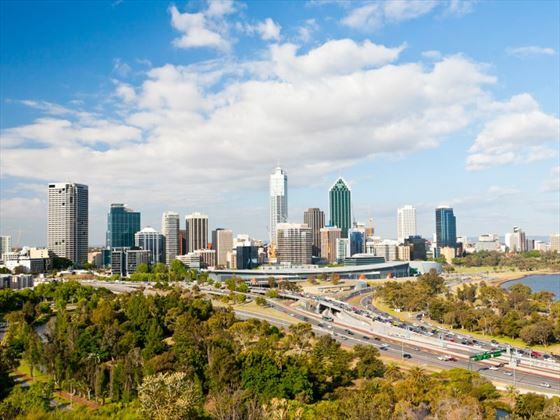 You must drop your car off to the city or airport by the same time as it was picked up on day 1, in order to avoid extra charges.